Refer-a-Friend to our summer jobs! 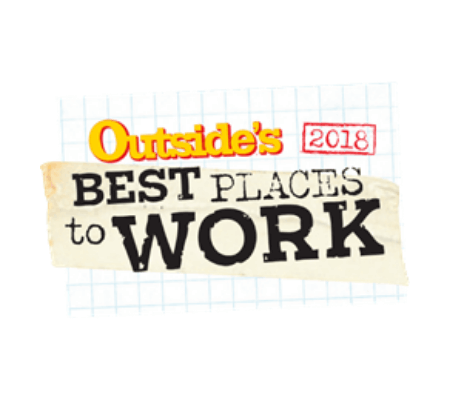 Why was Avid4 Adventure voted one of Outside Magazine’s Best Places to Work? Because when you work here, your office is the outdoors. Atop mountains, in rivers and on trails, alongside colleagues that share your passions, your to-do list consists of teaching curious kids how to paddle, climb, hike, bike, and thrive in the outdoors. This isn’t your typical day (or overnight) job. It’s an adventure you’ll never forget. Read what Avid4 Adventure staff has to say in our staff culture book or check out our available positions. We embrace diversity! Visit our Inclusivity page to learn more. As a member of the Avid4 Adventure staff, you’ll spend your days doing the outdoor activities you love—climbing, kayaking, mountain biking, backpacking—all while inspiring a new generation of intrepid adventurers and outdoors enthusiasts. It’s crazy fun, blissfully tiring and endlessly rewarding—no wonder our staffers tell us it’s the best job they’ve ever had. Joining our staff means joining a community of insatiable outdoor adventurers. All year long, our team’s communication channels are buzzing with plans and invitations for climbing expeditions, camping trips, day hikes, bike races, happy hours and all kinds of other cool stuff—all from like-minded outdoors addicts, ready for their next adventure. We want our staff members to be able to live and breathe the outdoor lifestyle they teach. That’s why we offer competitive pay, which increases as you spend more time with us and earn more certifications, and a whole batch of awesome perks designed to support staying active all year long. Learn more on our Compensation page. Whatever kind of job you’re looking for—day camp, residential camp, focused on one sport exclusively or a new one every day—we have just the thing. Learn more about our full range of day camp, overnight camp, school program and event gigs on our Day in the Life page, or search specific opportunities on our Positions page. We believe that being outdoors creates joy. We support kids and teens, their families and our peers to adventure exuberantly out in the world. We create environmental stewards. We walk our talk by minimizing the environmental impact of our programs, teaching Leave No Trace principles and environmental consciousness. First we listen. We notice other people’s uniqueness, goodness and successes and speak of them. We express gratitude. We have meaningful conversations. We are committed to training and development. We track and advance campers’ skills and support our staff to develop technical outdoor and business expertise. In times of success and through times of challenge, we remain grateful. We say “Thank you!” for things both large & small. We try to value all areas of our lives and bring a sense of gratitude to all aspects of work and play. First we ask, “What would you do?” We are confidence builders. We trust others to make good decisions, give them opportunities to lead and encourage positive risk taking. We bridge the passion we have for work with the passion we have for the outdoors, community, family and ourselves, deliberately allocating meaningful time for each. We create connections. We work, play and volunteer together, inspiring growth through shared adventure. We bring adventure to both campers and staff alike. You could even say we’re Avid4 it. We treat our staff like family, and we’d love for you to be a part of it. Check us out, and see if it’s a great fit for you!